Jibreel(Gabriel) peace be upon him the mighty in power and subservient to the will of the Almighty recited the verses to the Prophet of Islam peace be upon him in certain harmonious and rhythmic tone. Prophet of Islam Prophet Muhammad peace be upon him recited with the same synchronized manner to the companions and here we are reciting on the same footings of rules as revealed. In fact this very requirement for reading the Quran is evident from the verse number 32 of Surah Furqan where Almighty mentions the Quran is revealed with intonation(tarteel). 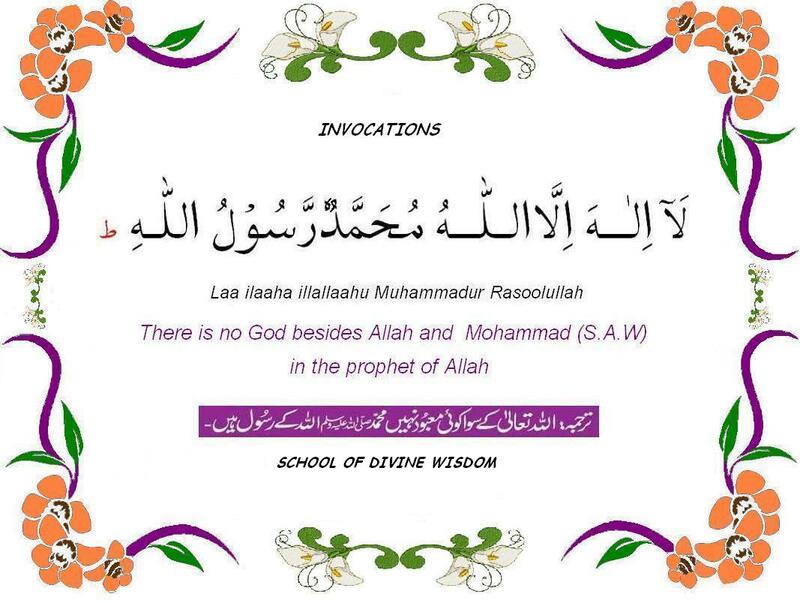 And in verse 4 of Surah Muzzammil the Almighty speaks to recite the Quran with intonation. It is clear that Quran is the speech of Allah and every vocable of it. And that intonation is the proper manner to recite it. Now, in learning the rules that guide us to read it with intonation may at times bring tests and obstacles. The science of learning those rules is known as tajweed. Before proceeding further it is important to differentiate between tarteel and tajweed. Tarteel is defined as to pronounce every letter with tajweed and to know the places of pauses while reciting. Whereas Tajweed means to pronounce every letter from its place of articulation and with all its attributes. Some people do mention that it’s easier for Arabs to learn and recite Quran than non-Arabs. But that’s not true in most cases. Reason being that the only edge that the Arabs are having over non-Arabs in this regard is some phonetics that may not be found in any of non-Arab’s dialect. And it can be one of the obstacles as mentioned above that may arise. However, once you get that perfected, the greatest hindrance is out of your way. Other than that Muslims belonging to both the ethnicities need to learn and practice the rules of tajweed in the similar way. Many a times, it would seem easy to adapt; and it is. Yet it would get frustrating to apply despite knowing the rule and pronunciation. “ع” and “ح”, “ء” and “ق”, “ہ” and “ک” may come out interchangeably but unintentionally. But then again it’s the golden rule of patience, pride and perseverance that would help you in practicing and repeating exercises to get perfected in articulation and pronunciation of alphabets. Another way to keep oneself motivated and away from anxiety of repetitive mistakes is to listen and follow the pattern of the reciter that one likes and feels convenient to follow. A proper teacher and al mushaf al mu’allim of the most suited recite would show rapid results and strong envisioning. We pray to Allah the Exalted endow us with the patience, pride and perseverance; and the strong determination to learn to read Quran in its true essence and to grant us wisdom to ponder upon the meanings of the verses and to practice upon them in principle. How do you benefit from QURAN GUIDE? •	In case the student is lacking the substance to properly apply the rules or faces any other similar problem and the Quran Guide feels necessity; the student would be given once a week or once a fortnightly basis extra lesson in grouping with other similar cases. 1. To allow the student to experience, observe, and understand the issues they are having problems to cope up with. 2. In order to adapt to the solution guidelines the student observes or the Quran Guide relates to the student after providing the student with a diverse learning environment. •	Quran Guide maintains a lesson wise record sheet putting up the comments / remarks over the lesson and progress of the student to help the student identify and allocate his/her weak areas. •	Student is assigned with the level of course after initial assessment by the tutor in the free trial lessons. •	Pre-requisite for Quran Memorization is good recitation; once a student is reciting the Quran with all its attributes and proper articulations, regular recurrences, and keeping the recitation rules intact, its then time for the student to step towards the degree of memorization. •	Highly recommended for the students enrolling for Basic or Intermediate level is that they chose atleast three day package as it requires practice to be perfect. •	Student’s age, concentration span, learning ability, pre-enrollment knowledge and living circle are the elements to determine the student’s learning and motivational needs. •	Missed lesson on part of the student would be covered up partially as convenient for the Quran Guide; incase the lesson is missed because of the Quran Guide a complete duration of the lesson time would be covered up. •	Quran Guide tries to arrange a group lesson very often in order to make the students discuss their learning and to gain from others experience as discussion is one of the most effective learning tool.